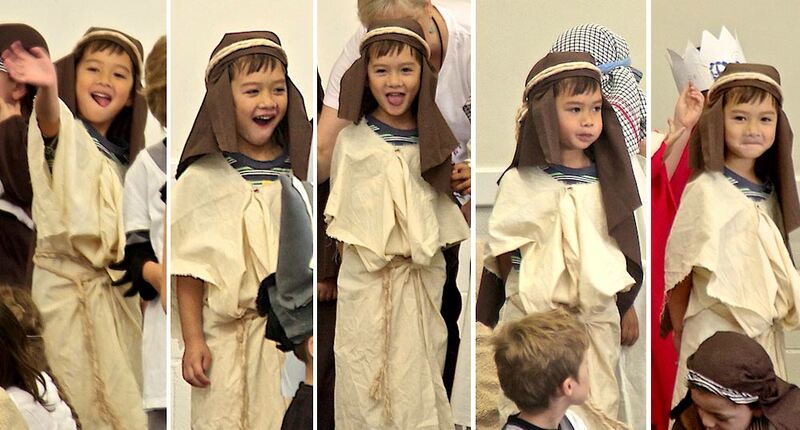 A week or two ago, we went to see Grandson R, who played one of the shepherds in his Kindy's Nativity Play. 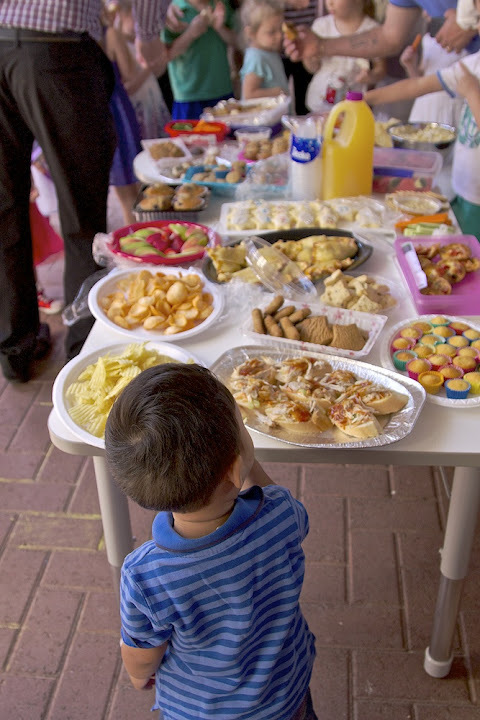 It was a very informal event, with parents, grandparents, brothers and sisters all invited. First, we visited his class. 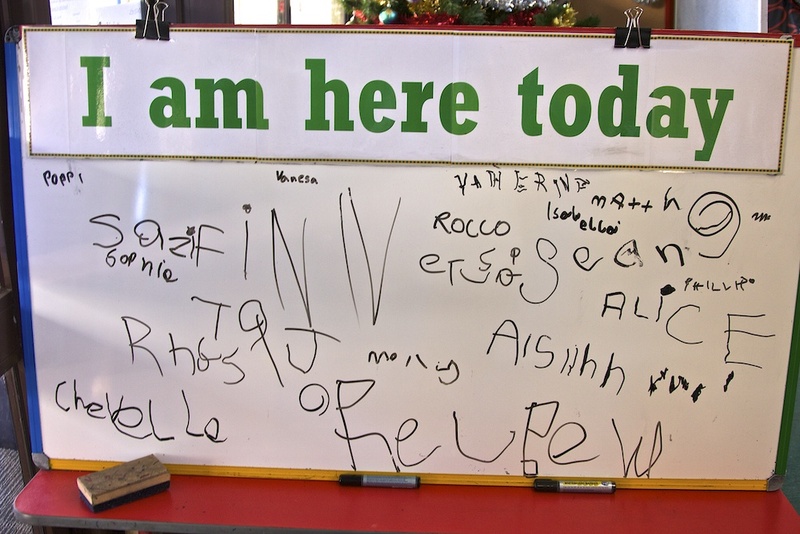 The taking of attendance is quite different these days, and I had to laugh at the children's attempts to write their names. 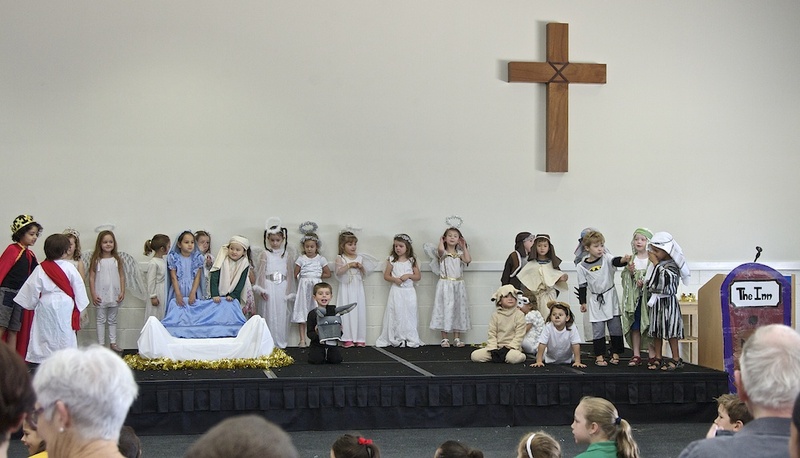 Here's a shot of the entire cast of the Nativity Play. I was very amused by R's different facial expressions throughout the performance, and managed to get quite a few pictures from where I was sitting. He really looked like he was enjoying himself. 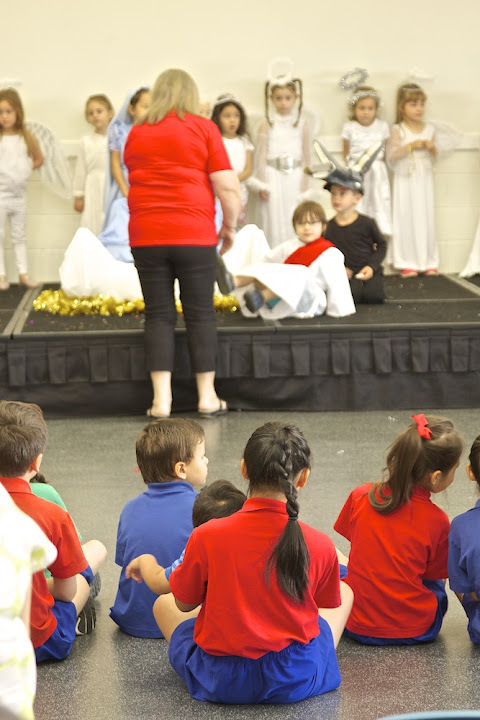 Big Sister A was excused from her Year 3 class so that she could watch her little brother perform. She was very good and took care of littlest brother B throughout the performance. Below, she can be seen sitting on the floor with B in her lap. 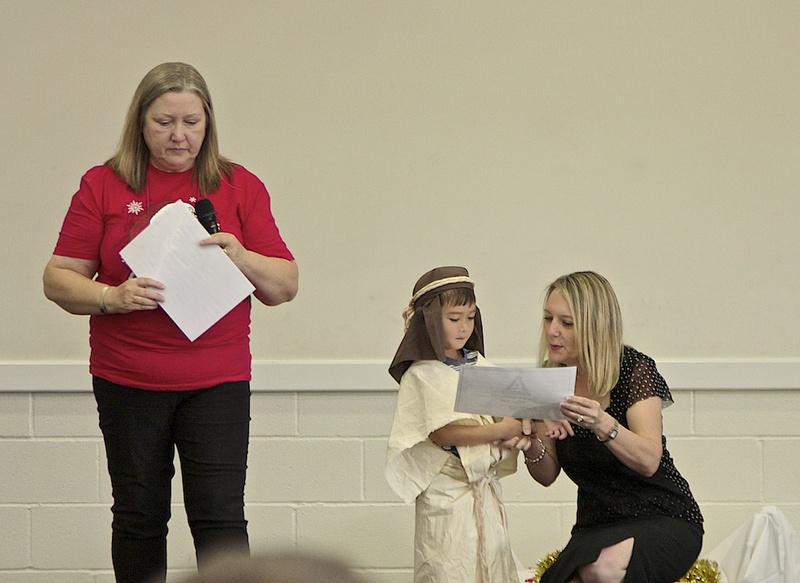 After the Nativity Play ended, there was a graduation ceremony. Next year, R will go on to pre-school. And finally it was time for refreshments. Little B studied the table carefully. And then went in to help himself. 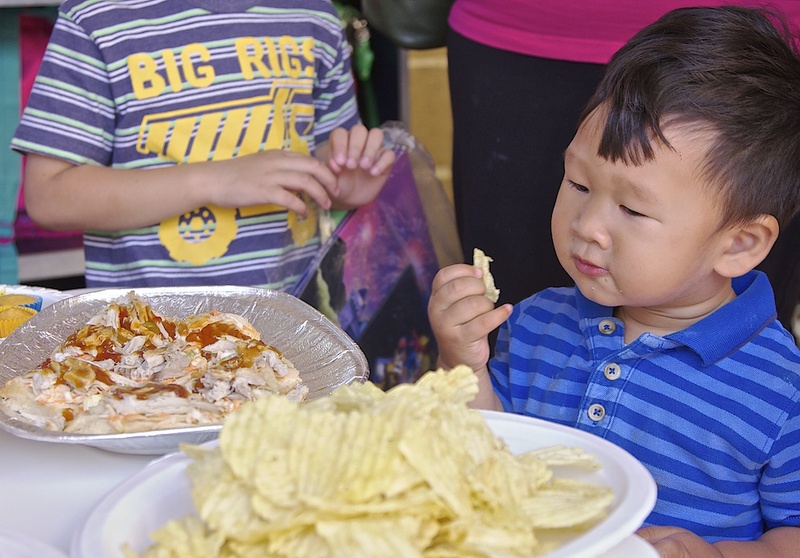 This little fellow certainly loves his food. The header to my blog shows R in his shepherd's costume, set against a photo of Bethlehem at sunrise, a photo taken from our hotel window a few years ago. Here's wishing all of you a Merry Christmas and a Happy New Year. That's one handsome kid, that grandson of yours...but the little one sure knows what's best! LOL!!! Must have been a whole lot of fun that day. A Blessed Christmas to you and all your loved ones too and all good wishes for an awesome New Year, 2016. Cheers!!! Thanks, suituapui. And Best Wishes for Christmas and the New Year to you and your family too.